Frank Koonce is internationally acclaimed as a performer, teacher, and writer. He holds degrees from the North Carolina School of the Arts and from Southern Methodist University, studying first with Jesus Silva and then with Robert Guthrie. In 1974-75, he was a Fulbright Scholar and performer in Italy where he studied with Sergio Notaro and Alirio Diaz. 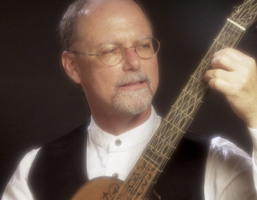 A Professor of Music, Frank Koonce has directed the guitar program at Arizona State University since 1978. He was Director of “Guitar Festival 1987” an international event jointly sponsored by the Guitar Foundation of America and the American String Teachers Association, and later served as Chair the GFA Advisory Board. As a performer, he has recitals to his credit in England, Korea, Macedonia, Taiwan, China, Bangladesh, Costa Rica, Mexico, Spain, The Czech Republic, Austria, and throughout the United States.